I am not sure whether anyone has put forward an idea similar to this but hey that could mean we’re onto something if you have. 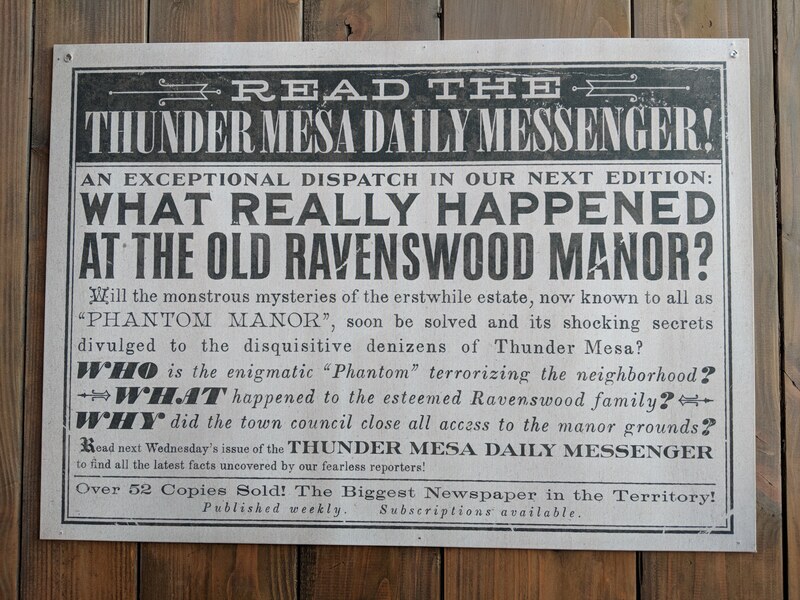 Given the recent addition of posters to the refurbishment wall around the Phantom Manor grounds in Frontierland and their additions to the lore of the area some interesting ideas arise. Ideas of our updated Phantom Manor storyline.